It doesn’t get more Mission Critical than that! From conducting daily operations to assuring homeland security to managing emergency response, the mission of the U.S. Government depends on constant, reliable, and secure access to critical data. Lowry Solutions partners with leaders in the Automatic Identification and Data Capture (AIDC) industry under government contracts to provide all branches of the U.S. Government high-quality, dependable hardware, software, and service solutions that integrate RFID and barcode technology to meet mission-critical data requirements. As a trusted supplier to the U.S. Government, Lowry Solutions established an online portal to provide government personnel a secure, convenient purchasing option. Orders are received and processed by Lowry’s government sales representative. Please contact Lowry Solutions to discuss purchasing under the AIT-V and GSA Government Contracts. But don’t worry, Lowry Solutions makes it fast and easy. If you’re a chemical manufacturer, importer, distributor, or employer using chemicals in the workplace, complying with GHS label requirements is non-negotiable. 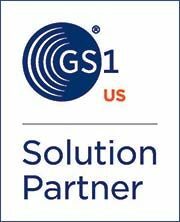 Lowry Solutions is the one-stop resource for complete, custom label solutions designed to help you meet GHS label requirements. GHS, short for Globally Harmonized System of Classification and Labeling of Chemicals, is a global chemical classification and labeling system developed by the United Nations to provide an international communication standard for chemical labeling based on signal words, pictograms, and hazard and precautionary statements printed on resilient labels to inform workers and avoid dangerous situations. For chemicals shipped overseas, an additional standard — BS 5609 — is applied to ensure that the combination of label and printed ink can withstand exposure to water. BS 5609 is the British Standard for labels and printed inks used on chemical containers shipped by sea. As part of GHS compliance, both the label and the ink together must meet this requirement for use in marine applications. Several label and ink combinations have been certified by accredited testing labs to determine which combinations are durable enough to resist maritime exposure. Lowry Solutions is the leading provider of RFID and barcode technology hardware, software, and service solutions. From asset and inventory management to barcode printers and RFID tags & labels to complete wireless networking, Lowry Solutions serves the U.S. Government with high-quality, dependable, and secure solutions for accessing mission-critical data. Contact Lowry Solutions to purchase under the AIT-V and GSA Government Contracts.